The platform's comms function has been racked with turnover over the past two years. SAN FRANCISCO: Twitter has beefed up its comms team with four hires, including executives for corporate and internal communications. The company hired Giovanna Falbo as senior director of corporate and North America communications. She is reporting to VP of global comms Brandon Borrman and is based in New York. Falbo is not directly replacing anyone in the role. She joined Twitter from Brunswick Group, where she was a partner focused on business transformation and change management, including M&A, IPO, restructuring, and crisis. Twitter also hired Julie Steele this month as head of internal communications. She has replaced Channing Barringer, reporting to Nola Weinstein, global head of culture, engagement, and experiential marketing. Steele is based in San Francisco and is responsible for driving employee engagement and shaping organizational culture through editorial, programs, and events, according to a statement from Twitter. Most recently, Steele spent four years at Hulu, managing internal communications and CSR, including executive coaching, change management, culture programs, all-hands meetings, employee events, and philanthropy. Other hires include Katie Rosborough in the newly created role of policy communications manager for the U.S. and Amy Rose as senior policy communications manager for EMEA. She is backfilling Ian Plunkett, who is leading Twitter's global policy communications team from Washington, DC, according to a Twitter representative. Rosborough and Rose both report to Plunkett. Previously, Rosborough was communications director for the Senate Finance Committee, and Rose was communications manager for Together For Yes, a national campaign to repeal the 8th Amendment. "We want to make sure we are well-positioned with incredibly strong talent going into 2019, so we went for subject matter experts across a range of needs around the world," Borrman said in an emailed statement. "The fact that we are able to bring [these four hires] on validates that we have a strong mission, meaningful challenges, and a great team." The platform’s communications function has been racked with turnover over the past two years. Twitter hired Borrman, who previously was VP of global communications at Ancestry, this year. It also brought on Brad Ramsey as VP of marketing from Facebook, where he held Asia-Pacific and North America marketing leadership roles, according to a Twitter memo shared with PRWeek. The social network hired Kristin Binns as its communications leader in September 2016 from insurance giant Anthem and brought on State Department veteran Emily Horne to lead global policy comms last June. Binns left Twitter this summer to join video game publisher Activision Blizzard as SVP and chief communications officer, respectively. Twitter’s former corporate comms lead, Brielle Villablanca, also left the company to join fintech startup SoFi as head of corporate comms in August. 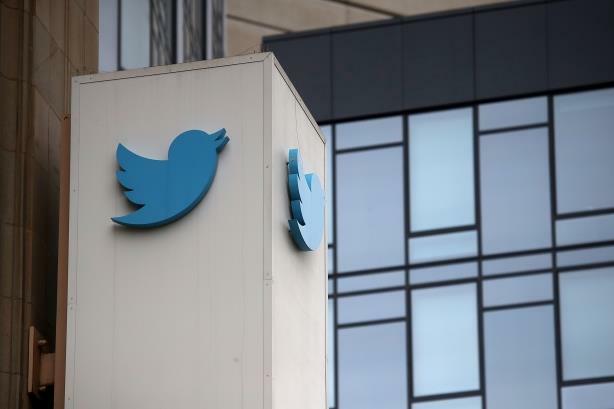 Several communications executives departed Twitter in 2016, including Jim Prosser, former head of corporate, revenue, and policy communications, and VP of global comms Natalie Kerris.